I received this wonderful mail earlier this month in which it totally caught me off guard and really made my day. 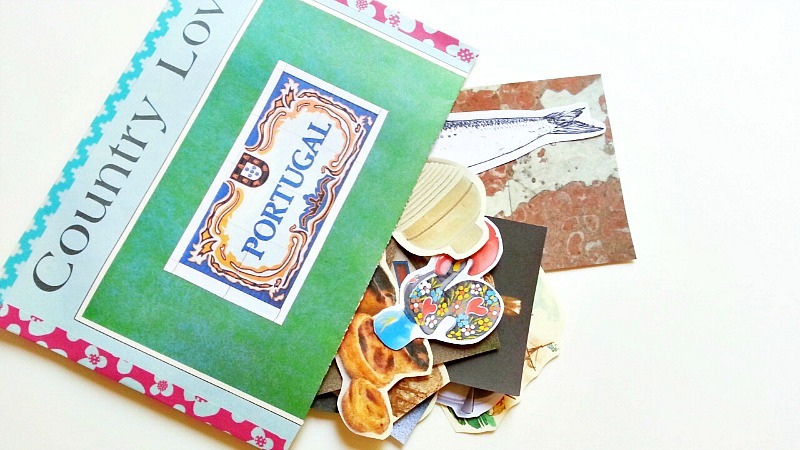 One envelope consisted of clippings pertaining to Portugal culture, which is where the sender is from, and the other envelope contained all mail related clippings. This was such a wonderful surprise and such a creative idea. I was so touched at the fact that Ana had spent her precious time clipping out all these little individual pictures (and using up all her color ink) for me. It's hard to tell in the photos, but each envelope had about 30-40 clippings easily. Many thanks to you, Ana, if you're reading this! These will surely be used within my snail mail projects and my personal art journal. Yeah, You got it safe! Thank you again, Ana! Love it! I saw your picture on Instagram and had to come to your blog to check out the post about all these little cut-outs. I just love Ana's idea! I have that pink book "It's Fun to Write Letters"--it's from the 1950s and is super cute! :) This has me inspired to scan some of my things and print them in miniature--so fun! Lovely Instagram and blog--so glad I found you! Thank you for your kind words, and thank you for stopping by! I'm always posting incoming/outgoing mail posts on Mondays, so feel free to come check it out.